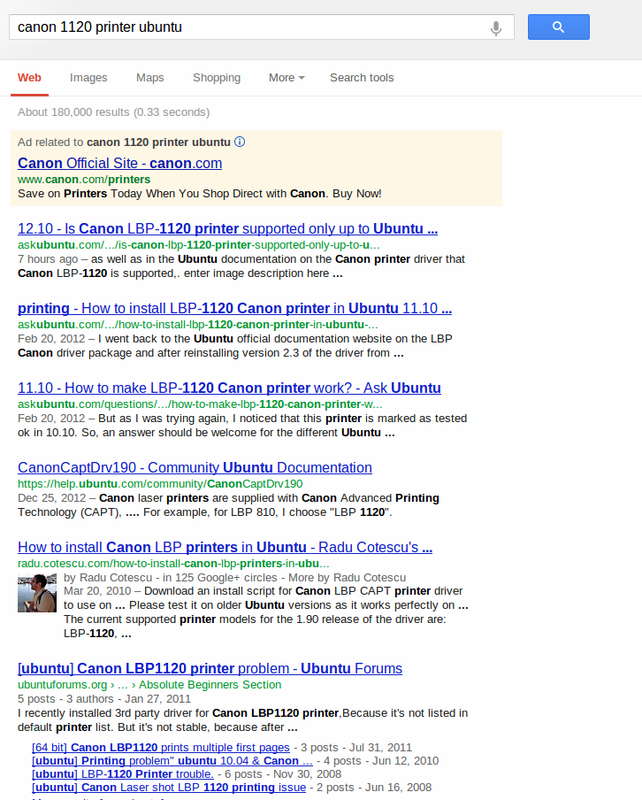 I have initially posted this question on the installation of the LBP-1120 canon printer only in relation to Ubuntu 11.10. Meanwhile I have upgraded to 12.04 and then to 12.10 without being able to install that printer. Should I create separate questions for each Ubuntu version? I am afraid they will be closed as duplicate of the first. Should different answers be posted for each Ubuntu version? What would be the definitive then? Also, setting one as definitive to the unified question, users may not feel inclined to provide new answers for other versions. Should only one answer include solutions for all/as many as possible versions? This would be normal given the present unified/inclusive form of the question. Should I ask people to provide edits to my answer instead to give new separate ones? Should I create separate questions for each Ubuntu version? Should different answers be posted for each Ubuntu version? No and No! It's the same question. Questions should not be specific to a single version and answers applying to multiple versions should be in the answers (with some additional steps to take if required). This is a lot more valuable and searchable than to have a question for this printer for every single version spread all over the site. How do I get my Canon LBP-1120 printer to work? Then in the body of such a question you indicate what you've tried, what new information you come up with by editing it, etc. If you want it to get more attention, just put a bounty on it. Those top three questions should really be merged and drop the version number, then there's the official documentation (yay! ), a blog that looks out of date but is the basis of at least part of the solution, a bunch of unanswered threads in the forums, and after that it gets progressively worse. So the opportunity here is for you to have the page about this printer on Ubuntu on the internet, so I say merge it and make it awesome. One thing I would do though is remove all the version specific changes in the question and just make it generic, it should just be the question about how to get the printer to work, and then in the answers you should make one for every version, that would be a nice place to make a placeholder for 12.10 so it's obvious to people that that answer needs to be improved instead of putting it in the question. What should we point duplicates of “how to upgrade while skipping in-between releases” to? Is this answer still aplied to recent versions of Ubuntu?